A couple of years ago, I had fun baking and decorating these Easter Egg Sugar Cookies. 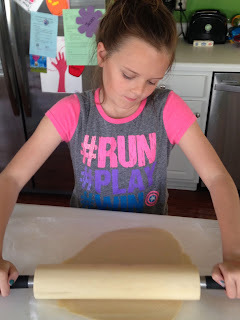 Pamela's Sugar Cookie Mix are so easy, you simply add a stick of butter, and 1 egg, mix together, roll out dough and that's it! 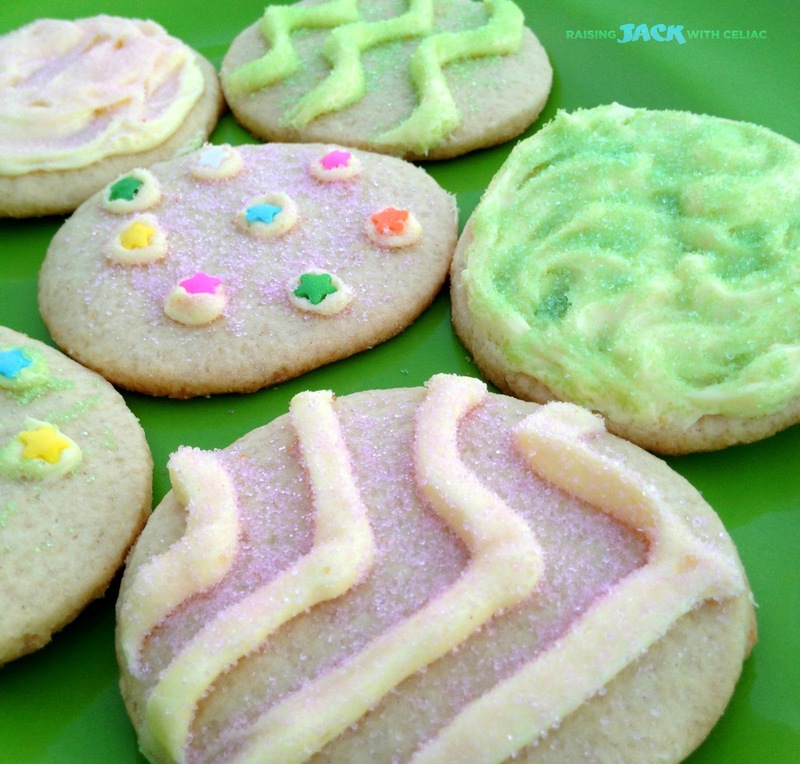 Then you're ready to cut out your Easter cookie shapes. 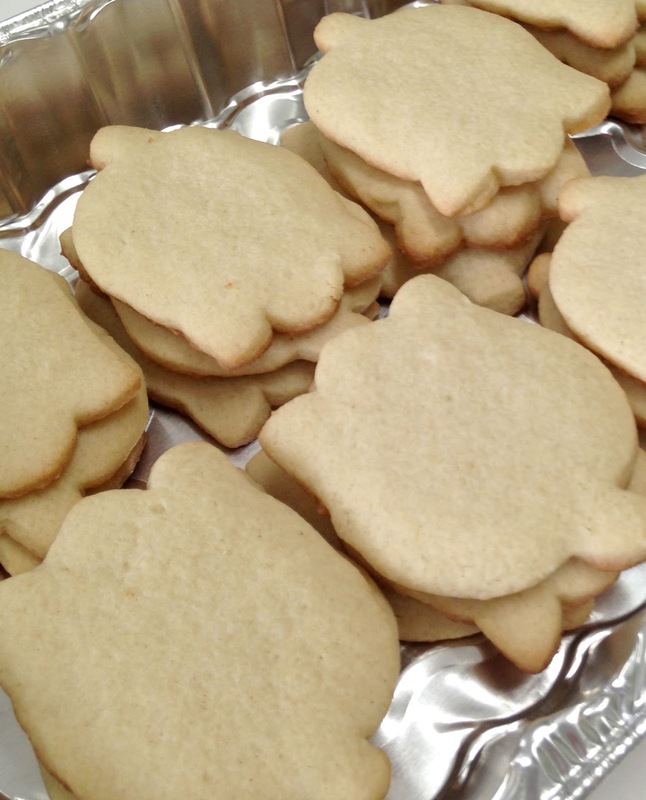 The tulip cookies are so cute, but sadly, my frosting skills failed. BUT, they were still deliciously edible. Better luck next time! Be for you read any further, I'm not being paid to promote this product. I've been using PAMELA'S baking mixes for 9 years now. I'm a HUGE fan. You can do a SEARCH (top right corner) of my blog - just ENTER "Pamela's" or "Cookies" and you'll see, I am a dedicated Pamela's consumer. I LOVE her products. 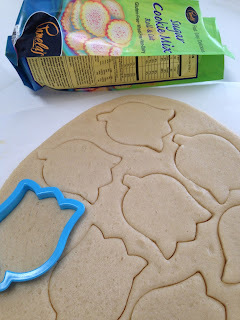 We made tulip cut-out cookies too! Tulip cookies ready to frost! Egg cut-out cookies fresh out of the oven! See how easy it is? It's so easy, especially for non-bakers like me. And I'm very pleased EVERY time I bake with Pamela's mixes. 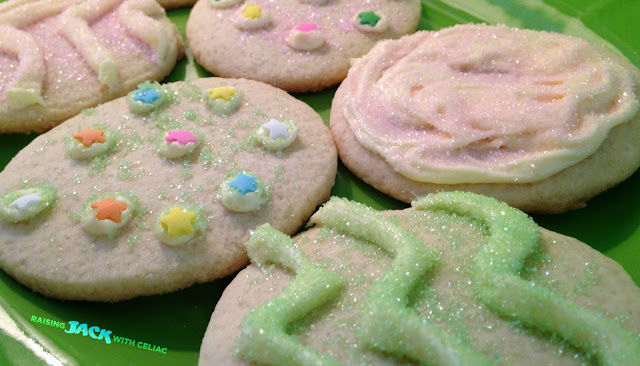 I have used this sugar cookie mix numerous times now and I couldn't be happier with it. 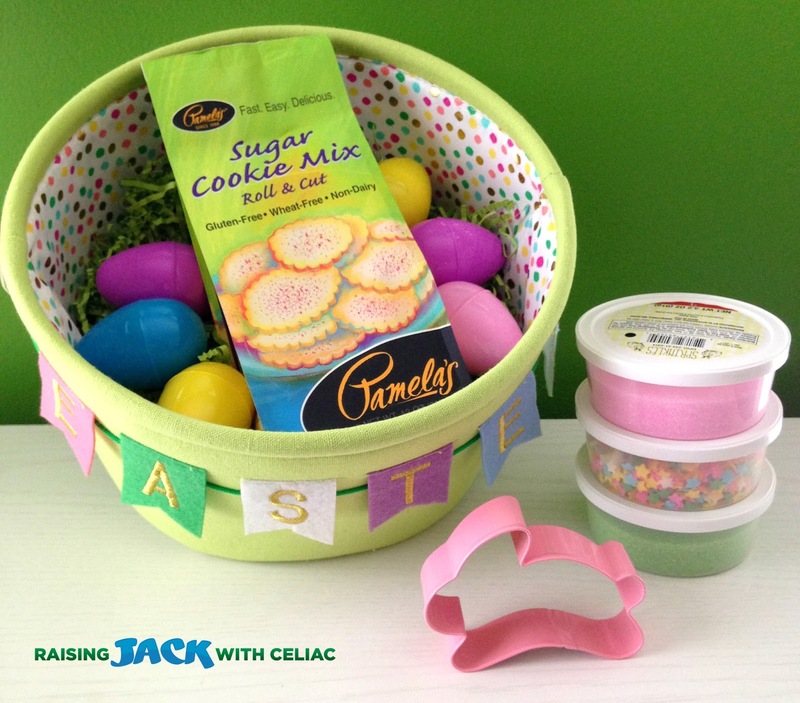 Don't worry, you still have time to get your Sugar Cookie Mix before Easter! You have plenty of time to run to the grocery store (should find it in the "Gluten-Free" or "Organic/Health" sections) or more conveniently, order from Amazon - it'll be at your door in just a couple of days. My favorite dessert is a gluten and dairy free jello with strawberries. Most my kids are gone and out but I still have my celiac buddy at home so this would be really special. He loves cookies, and the more color the better. I love homemade carrot cake with cream cheese frosting! I usually bake a carrot cake in the shape of a bunny but this year I also have my eye on a delicious coconut cake recipe that I pinned! We have food allergies and Celiacs running around this house! I love making cut out cookies with my girls and this would be amazing! Our favorite Easter dessert is a gluten-free dairy free carrot cake with dairy free cream cheese icing!!!! 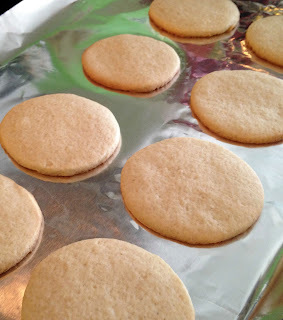 Favorite dessert EVER is cheesecake but sugar cookies are a close second! We always made cupcakes and decorated them to look like easter baskets. I'm planning to use Pamela's cake mixes this year. My favorite Easter dessert is just chocolate Cadbury creme eggs. Though not a traditional Easter dessert, Sticky Toffee Pudding.